Although the soccer system in the United States has been under fire lately, a new generation of talent has caused many to be optimistic about the future. For rising MLS talents Memo Rodriguez and Adrian Zendejas, not only are they excited for what is to come for U.S. Soccer, but they have a chance to be a part of it. We spoke to the two 22-year-old pros about their journey through their careers, what they think about the current young crop of American talent, and where they see themselves four years from now at the 2022 World Cup. 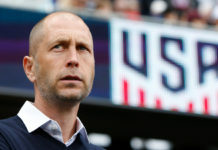 After failing to qualify for a World Cup for the first time since 1986, many were quick to point out the glaring flaws in U.S. soccer. Whether it was mismanagement in the front office or the pay-to-play system, the American way of the beautiful game was scrutinized to no end, and rightfully so. However, nine months since the catastrophic defeat to Trinidad and Tobago, it is now time to look to the future instead of dwelling on past failures. Beneath the jabs and criticisms of soccer pundits and TV analysts, a new crop of American players has been developing, leading some to be — gasp — optimistic about the future. Such is the case for young MLS talents Memo Rodriguez and Adrian Zendejas. Although their physical stature might indicate they are polar opposites — Rodriguez a 5-foot-6 midfielder and Zendejas a 6-foot-5 goalkeeper — they share a surprising amount of similarities. Both 22 years old, they were born in the U.S. to Mexican families. 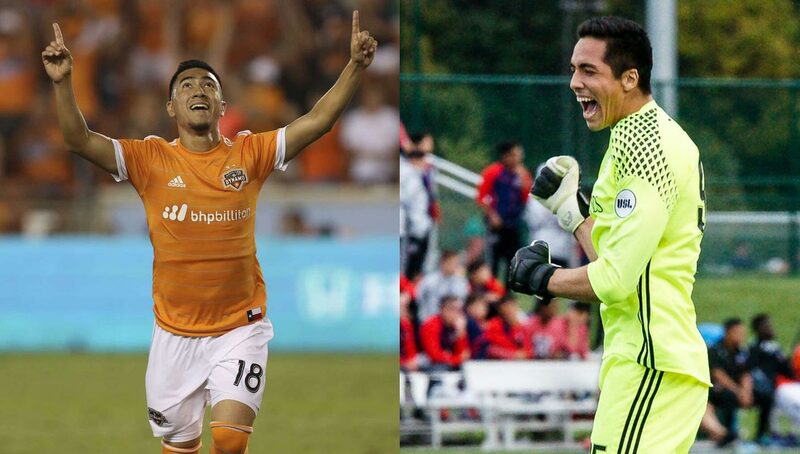 Both played in local academies and spent time in the USL, where strong play led to eventual call ups to the first team, Rodriguez to the Houston Dynamo and Zendejas to Sporting Kansas City. 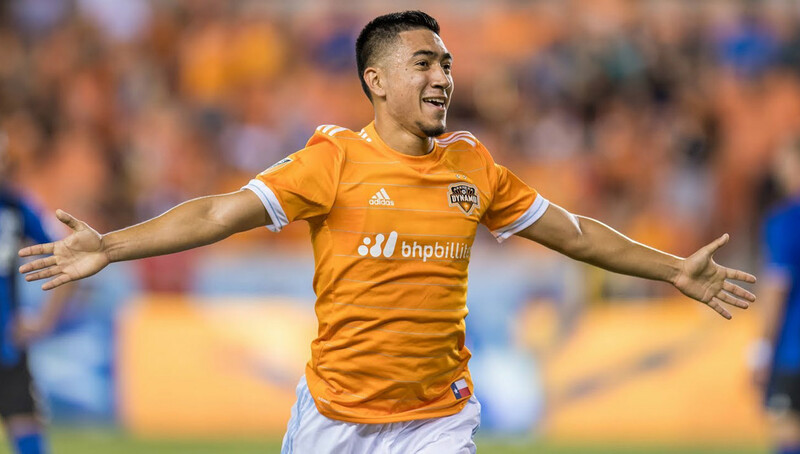 Born and raised in the greater Houston area, Memo Rodriguez is getting the chance to play with his hometown Houston Dynamo. Growing up in the small town of El Campo, Texas, about an hour south of Houston, Rodriguez had no organized soccer options outside of the Boys and Girls Club. He knew he had to move to the bigger city to continue his playing career, and he credits his mother for constantly supporting that dream. He joined the Dynamo academy and eventually signed as a homegrown player at 19 years old. Zendejas has a similar career path to Rodriguez, also starting at an early age. Born into a soccer family — his dad a coach and older brothers players as well — he fell in love with the beautiful game immediately. Born and raised in Chula Vista, California, Zendejas was spotted at a high school match by a Xolos de Tijuana scout, and was invited to their academy. He made the 30-minute trip south of the border, making the U20 team and appearing in a friendly match with the first team. He received an invite to try out for the Swope Park Rangers, the USL affiliate of Sporting KC, where he not only made the team but led them to an appearance in the USL finals. 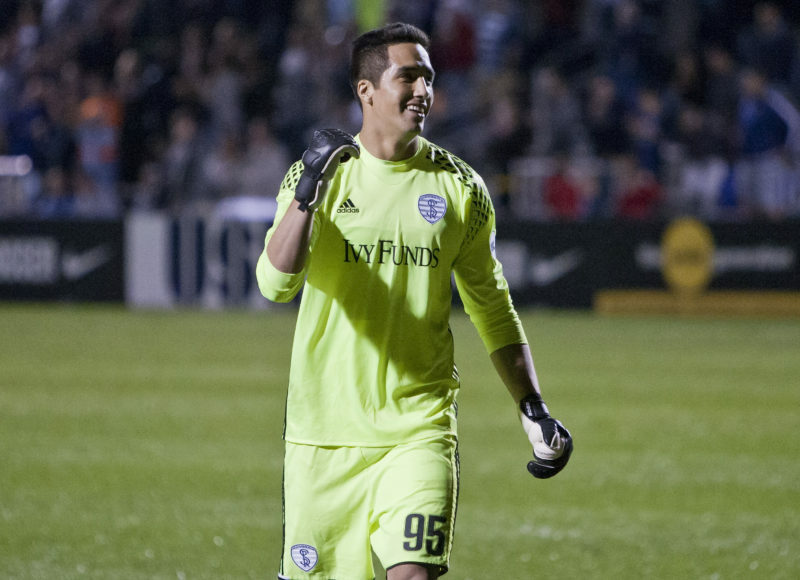 Adrian Zendejas went 8-0-0 in his first eight starts with the Swope Park Rangers, leading to a promotion to MLS with Sporting KC. Now headed towards the primes of their careers, both Rodriguez and Zendejas will look to make an impact not just at the club level, but at the international level as well. 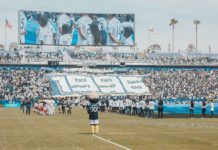 Urban Pitch: What has your MLS experience been like so far? Memo Rodriguez: I think moving to the Dynamo academy was a great experience. I knew that some guys would have the opportunity to play with the first team. I knew for me, if I was going to become a professional soccer player, the Dynamo was the correct move out of all of the academies in Houston to give me the chance to go pro. As for my professional career, it was a little frustrating in my first year. I got moved to the Charleston Battery in the USL and didn’t get much playing time there. For me it was so frustrating not getting minutes. I was questioning myself to see if this is what I really wanted. I think now in my fourth year, I realized that that has helped me become strong mentally. Now that I am getting more minutes and being able to help the team in any way possible, it really showed me that you need to be patient at times. The opportunity will come no matter what — it’s just a matter of whether you’ll take it or not. 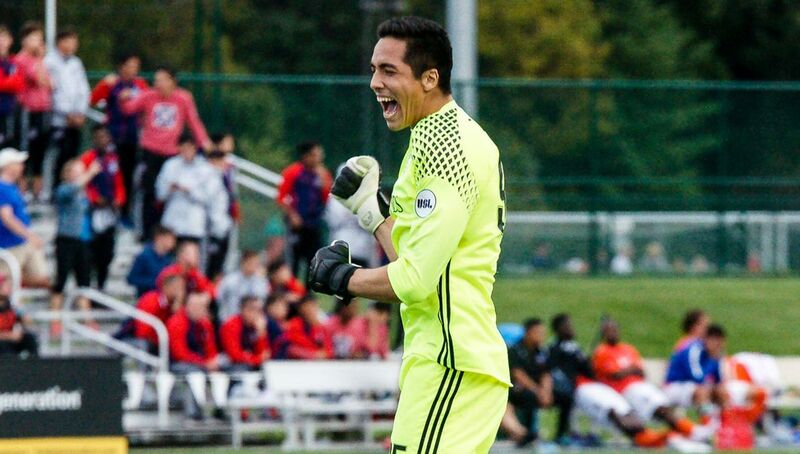 Adrian Zendejas: I’ve got to say I’m very grateful to land in a top-flight club like Sporting Kansas City. They are where they are for a reason. For me, it’s been just about perfect. I have one of the best goalkeepers in MLS in front of me and I’m learning from him every single day. I have a great goalie coach who trusts me and respects me, and that’s exactly what you look for in a team. I can only say good things about my MLS experience so far. Where were you during the infamous U.S. Soccer match against Trinidad and Tobago, when the American dream of a World Cup appearance was crushed? Rodriguez: I can’t remember where exactly I was at, but I remember I was watching the game. My teammate DeMarcus Beasley was playing with the national team, so I kind of felt what they were feeling to be honest — the disappointment, the sadness that comes with not making the World Cup. It was really tough as a nation, and it really hit home for me because I wouldn’t be able to watch them play in the Cup. It was really tough. Zendejas: I honestly thought that the match would be no problem for us. They’ve been through big matches before and came out on top. But this is the game we love — there’s a lot of things that can go against you quickly. I felt like it was a big wake up call to the rest of U.S. Soccer. All we need to do is learn from it and move forward. What are your thoughts on the current state of soccer in the U.S.? Rodriguez: I think we’re headed in the right direction. There’s a great group of young talent coming in. With these young players along with the veterans, I think it’s going to be great for the years to come. I think it’ll be great for the country to see young talent get a chance to show their stuff. Zendejas: I think the recent game we had against France showed what promise we have. I think we need to show more confidence in the kids. Experience comes from playing games, and you’re supposed to let the talent grow. We have some amazing talent, and we are a huge country, and soccer is growing immensely. 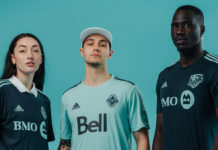 You can see in MLS, they’re having more trust in the kids. For example, with Sporting KC we’re putting in 18 and 19-year-old kids on the pitch and the results are the same. We’re actually gaining points. That shows that this country has a lot of talent. Before that wake up call, I don’t think everyone realized that. 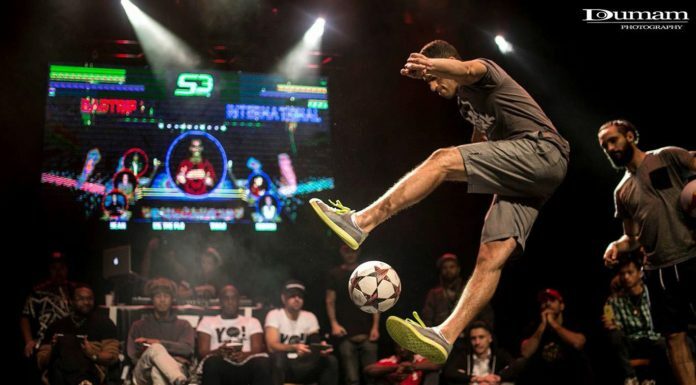 What makes the upcoming U.S. talent so exciting? Rodriguez: Speaking for myself, I think a lot of young guys are very hungry to prove themselves and showcase their talent. Whenever they get called up for their national team or senior team, they are going to be very hungry and help the national team and U.S. Soccer as a whole. Zendejas: There’s just so many opportunities for everyone now. There’s a lot of U.S. prospects going to Mexico and Europe, and they’re getting chances to prove themselves. We just have to keep going in that direction. Look at that game against France — look how many new faces there were and we took on one of the best teams in the world. Imagine that four years from now. That’s exciting. As Mexican-Americans, you’re both eligible to play internationally for the U.S. and Mexico. Four years from now, if you were approached by both countries to play on their national teams, who would you choose and why? Rodriguez: That’s a really tough question. At this point, I don’t really know. I haven’t been approached by either, even in the youth levels, but ultimately I’d love to play for either. When the opportunity comes, I’ll have to make a decision no matter what, but I don’t have a determined answer right now. Zendejas: Right now I’m leaning toward Mexican soccer, just because I started my career there. I learned a lot over there. I had a coach there who had so much patience with me, and if it weren’t for him, I wouldn’t be where I’m at today. He changed the way I played as a keeper. Another thing is that between Zack Steffen and Alex Bono there are a lot of top young goalies on the U.S. national team. I’m not saying that I can’t compete with them, I just feel like growing up I was in the shadow of everyone. I didn’t get much attention from everyone. Those guys grew up with the national team, they started when they were young. I got a call up when I was younger, but I broke my elbow and things didn’t pan out how they were supposed to. That’s when Mexican soccer came in. I felt like that was home. My parents are both from Mexico, my mom only speaks Spanish, so it’s in my blood. Stay up to date with Memo and Adrian by following them on Instagram.